120V 1750W 55 gal. drum heater with infinite control & three heat switch. 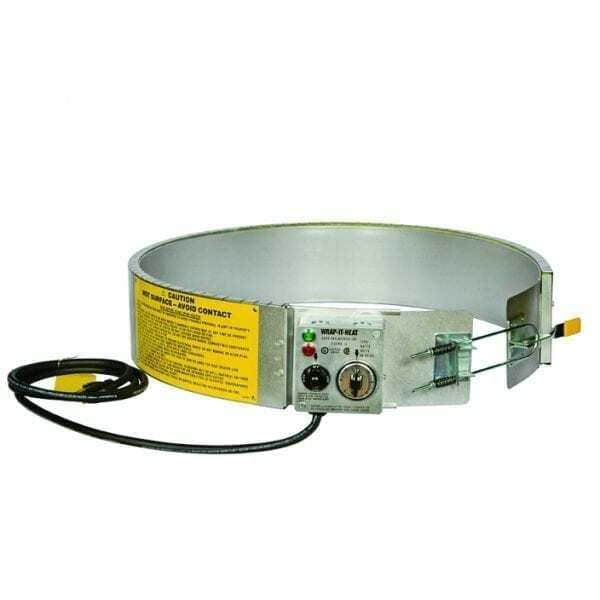 Model SRX-55 Drum Heater, is a drum heater featuring an INFINITE control supplying an ON/OFF heat PULSING action. The control varies the length of the ON segment of the cycle (at the wattage determined by the setting of the THREE HEAT SWITCH) and the OFF segment of the cycle (at zero wattage output). Model SRX-55 is for standard 55 gallon all METAL drums. SRX-55 cannot be used on Plastic, Plastic Lined or Fiber Drums. 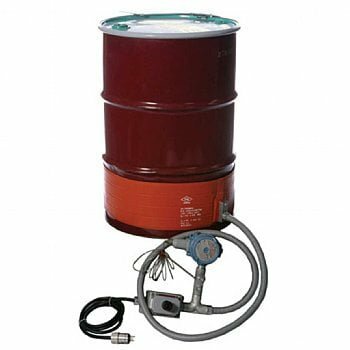 Model SRX-55 Drum Heater is designed for heating materials that are subject to coking, burning or chemical separation, such as food, chocolate, honey, light oils, chemical and undercoating materials, etc. Model SRX-55 does NOT have a thermostat and therefore will not AUTOMATICALLY reach and maintain a given temperature. However, the INFINITE control allows the operator to CLOSELY control the heater OUTPUT within a given range of HIGH, MEDIUM or LOW. The three heat switch allows three wattage ratings per control setting and voltage rating: HIGH, Maximum Watts; MEDIUM, 1/2 Maximum Watts and LOW, 1/4 Maximum Watts. Equipped with spring loaded toggle clamp for snug fit, 6 foot power cord and high ampere three pin plug. For 120V operation, use Hubbell Single Outlet #HBL5361. For 240V operation, use Hubbell Single Outlet #HBL5661. FOR INDOOR USE ONLY. SRX-55 is to be used to heat NON-FLAMMABLE, NON-COMBUSTIBLE materials only in a NON-HAZARDOUS area. 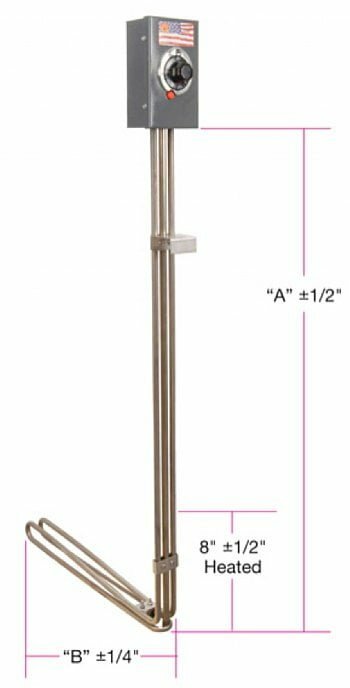 Model SRX-55 Drum Heater is U.L. Listed and C.S.A. Certified.